It's a board game review cliché to say "if you like this kind of game, you'll like this game". It's a tired and lazy get-out clause for a reviewer, they can thoroughly dislike a game and then issue this kind of statement completely admonishing any form of reviewer responsibility while remaining pretty, positive and ever so cuddly. It is a phrase I detest, but trying to write a review of The Champion of the Wild while avoiding this statement is turning into the literal equivalent of a daytime charge across the minefield. 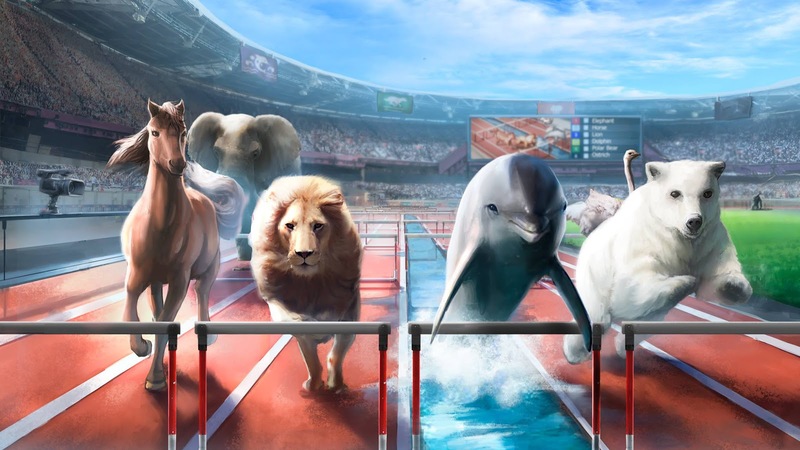 The Champion of the Wild is a party style game where you are taking part in the animal Olympics. 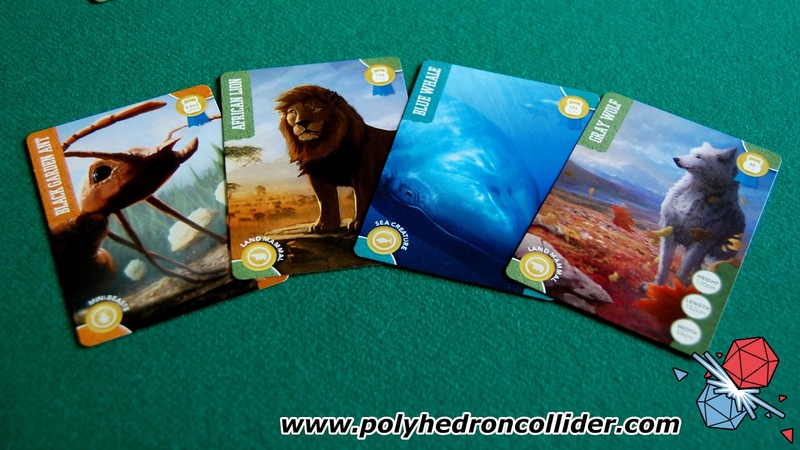 Three players will select events to test the mettle of the animal kingdom. These could be standard athletic events such as sprints, high jumps and synchronised swimming, but also include games like hide and seek, and other challenges such as a pole to pole race. Players must then select an animal from their hand to take part in all three events, and then explain to the other players why their animal will win each competition. Players then award placing based on this description. Explaining the reason why your animal can win has been bloody funny, and players with a vivid imagination or a good sense of humour are going to really enjoy it. Explaining why a cheetah can win the hurdles is pretty self-explanatory but a horse that wins hide and seek in a stately home by standing in front of the portraits, or standing up and demonstrating just how a team of penguins can win at the four-man bob-sled have been genuinely funny moments. With the right group The Champion of the Wild is a hoot. And there, I've said it; "with the right group". Even getting The Champion of the Wild to the table ended up being a game in itself, more challenging than facing Cthulhu in Arkham Horror. It is a game that requires players to be imaginative and funny, but most importantly, have the social inclination and confidence to explain why they think a hippopotamus will win the 4x100 relay. Unfortunately, a lot of board game players are either not that comfortable in speaking out like this or would rather spend their time in silence playing a big meaty Euro. Fun though it may be, I do have some criticisms of Champions of the Wild. For starters, the game is extremely short, a full game being just the three events. We played four games back to back, mainly to give everyone at the table a full go at choosing the events but even then, with rules explanations these four games took around an hour and a half. The real problem is that most of this hour and a half was spent sorting out scoring tokens. In order to vote everyone dishes out places for competing animals, with points awarded depending on placement. The issue is that in a five-player game, we spent most of our time totting up points and then re-sorting tokens to give back to players. It brings the game crashing to a mathematical halt as smart phones, pen and paper and calculators are brought out to tot up points. An Olympics style medal table would be much easier to keep track of and keep the game flowing. 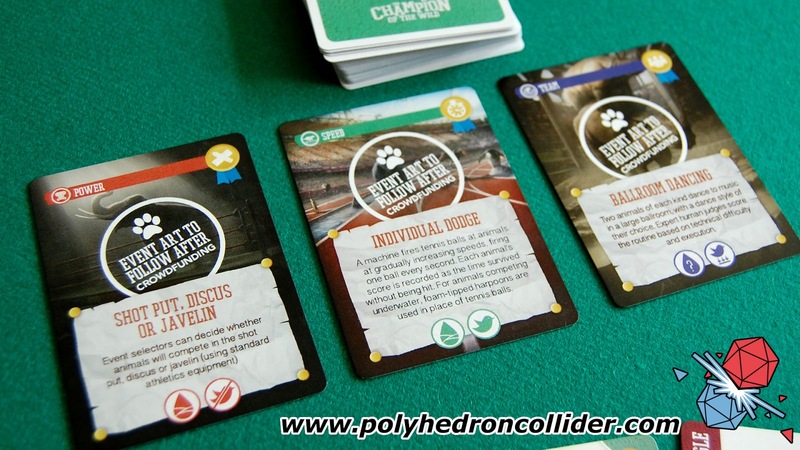 And so, we are back to my reviewing conundrum, because it is true that The Champion of the Wild sits in a very particular niche in the hobby gaming market. Those players who have no interests in social party games or lack the social inclination to make up a silly story are not going to be I interested in this game, but for those players who love flexing their imagination muscles there is a good amount of silly fun to be had with The Champion of the Wild. The Champion of the Wild is coming to Kickstarter 18th September 2017. 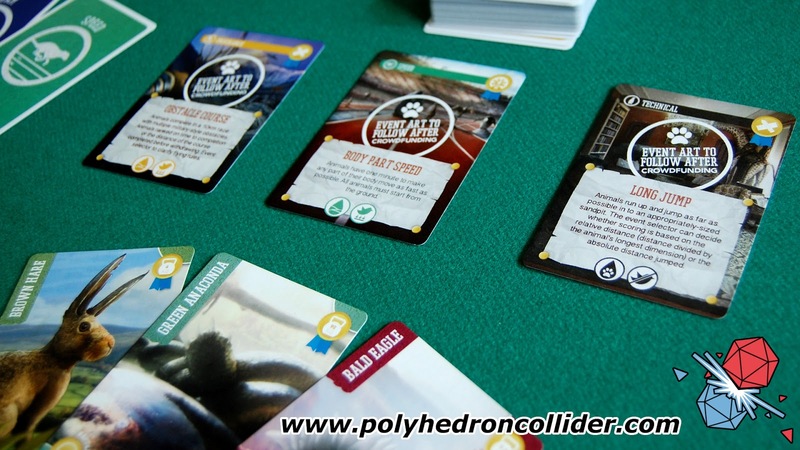 This Kickstarter preview is based on a prototype version of the game provided by the publisher; the final product may look, play or smell different to that used in this preview.